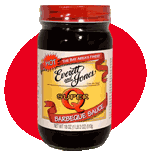 E&J’s BBQ, est. in Oakland 1973. Some say it’s the best BBQ in Oakland. I grew up on it and do favor it. I suggest the beef links, spicy if you can hang. Sadly I eat here rarely compared to what I used to as cost has gone way up. When I worked in Jack London Square I did go here for lunch often though.You must go check them out. The BBQ sauce is so good and you can buy jars of it to go. E&J’s has multiple locations throughout Oakland and other cities. I myself grew up on the one that is a small hole in the wall shack on Fruitvale . Although I no longer go there I do sometimes go to the restaurant on Broadway near Jack London Square. My dad used to buy me a gift certificate to them every year for Christmas and if he were still alive I’m sure he would. Their BBQ sauce is good and you can buy it at several Bay Area outlets or even online with their new retail site. Hours vary per location, call. Transportation: AC Transit 72 or a 10 minute walk from 12th St BART. To Go Orders: If you grab it to go, very near by you will find Jack London Square and benches on the estuary that you can sit and eat on. I spent many, many lunch hours eating my beef links right here(some really strange tree Photoshop thing going on there).